Here we would like to show you some of our favorite chiffon cakes we baked so far. The recipes will be up here soon! Refreshing and imo the perfect summer cake! Nergi berries are like mini-kiwis! They are healthy, tasty and perfect for cakes! They are very healthy fruits (rich in vitamin C), 0% GMO, 100% natural and low-calories, as well as very easy to eat(skins are edible). Nergi berries also look so lovely on cakes and tastes naturally sweet. 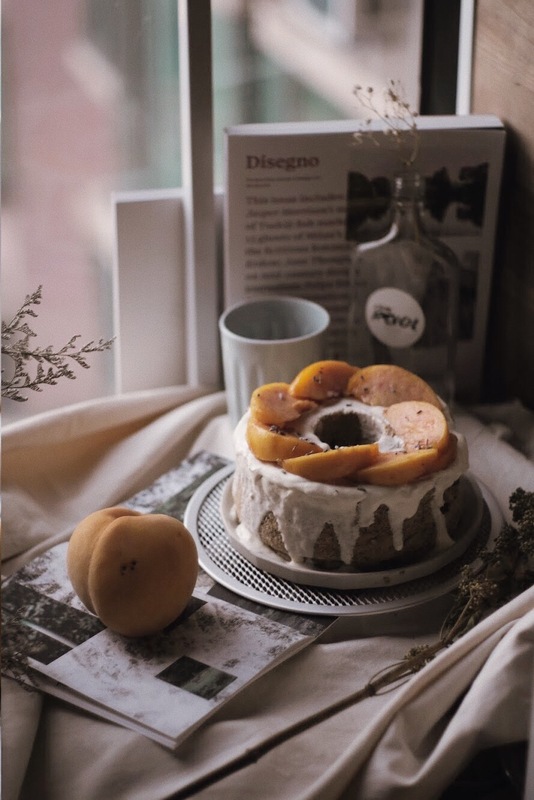 Earl grey chiffon cake with Japanese golden momo (peach). This time we are trying to intensify tea flavors of the cake! Let the baking game go strong! Hokkaido milk tea chiffon cake, with cream and fresh figs. Although my love for matcha never dies, I start experimenting different flavours and exploring the elements and combinations of cakes. The lemon chiffon cake is definitely a surprise last time to me. The milk tea flavour is smooth and gentle, it also goes perfectly with the figs. .